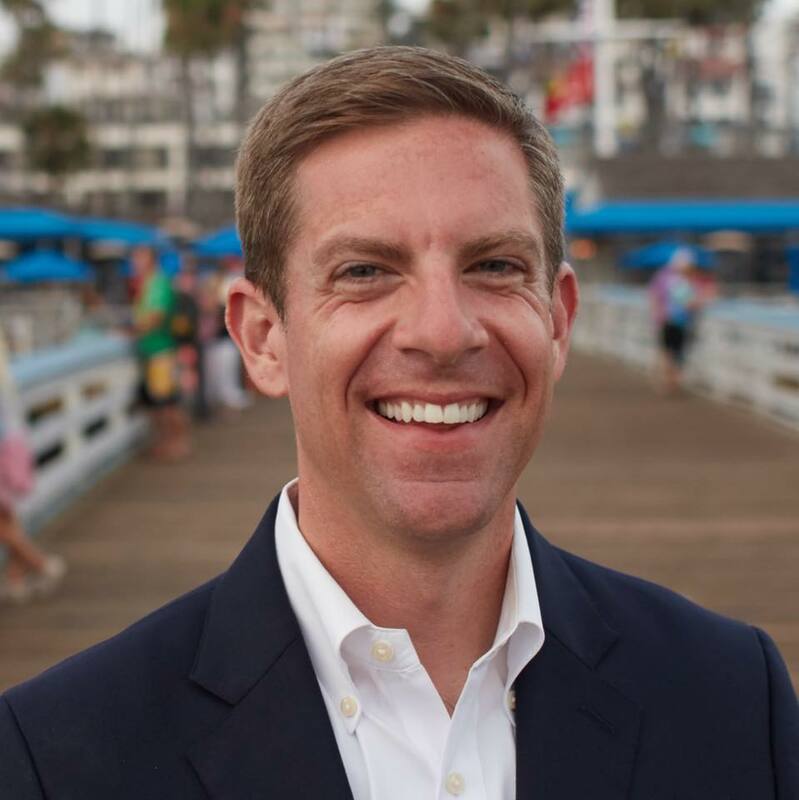 OCEANSIDE — On Sunday July 15, more than 100 enthusiastic people attended the opening of Democratic candidate for the 49th Congressional District Mike Levin’s new campaign headquarters. The crowd was made up of average citizens, campaign staff, Democratic candidates for other offices, activists, an Oceanside City Council member and volunteers. “We’re in one of the most competitive races in the country,” Levin said after being asked what he thought his chances were of flipping the seat Democratic that Rep. Darrell Issa had held for nine terms. “But Oceanside is purple, rapidly changing to blue.” He acknowledged his pollster, in from D.C., standing in the back and told the crowd that the first poll, taken at the end of June, showed him leading Harkey by 3 percentage points. Following City Councilwoman Esther Sanchez’s endorsement, volunteers were given scripts to use when talking to voters, and after gathering together for a group photo, nearly 20 went out to knock on doors, while seven stayed in the office and made calls. This article is an accurate depiction of the office opening . Thank you for the accurate reporting.